Sample Question Paper for Ethics (UPSC Civil Services Mains Exam Paper 5) : UPSC has released sample questions for ethics paper – the newly introduced topic – for Civil Services Mains Exam. In Mains – ethics related questions come in Paper 5 (General Studies Paper 4). Candidates may please note that the sample questions given by UPSC are indicative but not exhaustive. The range and depth of questions that would be asked may differ. 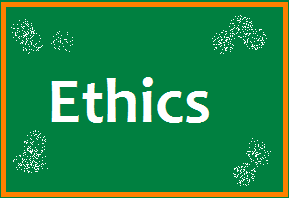 Download Sample Question Paper for Ethics. UPSC has given definition/concept oriented questions and case studies on ethical principles in the sample question paper. The sample questions seem to be easy and manageable for serious candidate. Most of the questions and case studies are subjective, and as there are no ‘right’ answers of conventional sense here, the clarity of presentation, reasoning and what stated in the title of the paper – Ethics, Integrity and Aptitude of the candidate – will be the deciding factors. The case studies are an extension of the decision making/interpersonal ability questions seen in Prelims CSAT Paper 2. The move by UPSC to select candidates who are ethically strong and good in decision making is a commendable step, though the assessment of the same – a subjective affair -depends a lot in the way answers are presented to convince the person who evaluates the answer sheet.